Can happen to contract the mycosis, which occurs when they are infected by a fungus. The first thing to do to avoid this problem is washing the feet carefully at least once a day and with a good soap that does not irritate the skin. But this may not be enough and if we “take the fungus” we must eliminate them in some way. Now we offer a great natural remedy. In this food there is ajoene, an antifungal substance that has proven effective to contrast various infections, such as athlete’s foot, and candidiasis. Dr. Lawrence D. Rosen remember that studies have shown that by applying a solution of 1% ajoene twice a week for two months you can cure athlete’s foot in 100% of cases. The “Lamisil” instead has a cure rate of 94% with a solution of 1%, as measured in a study published in the Journal of the American Academy of Dermatology. 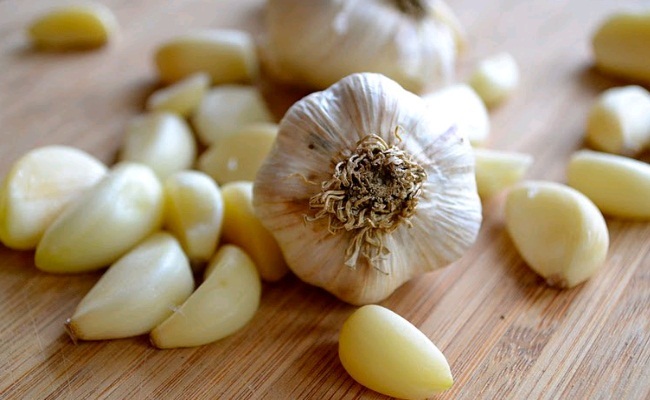 Ajoene solutions are not found in stores, but you can easily prepare finely chopping a few cloves of garlic, and placing them in a bowl with hot water. Here we immerse the feet for half an hour. Otherwise we can also mix the garlic just crushed with olive oil and then rub it on the affected areas of the feet with cotton. The drawbacks of garlic are not very common and generally have little effect. However, some people may develop allergies. How to cure the fungus with garlic: the infused with cloves. We can read in Inerboristeria: “It is also possible use a infusion prepared with garlic, oil and 4 cloves crushed, applying it on the skin for two or three times a day (after the preparation, let it repose at room temperature for three days, then filter them, should be stored in refrigerator until to a maximum of 6 months)."